The world of full-time employment has changed in recent years. Hours are no longer nine to five; and offices are quite often not offices. Thanks to high-speed broadband, people can work from almost anywhere, at any time. This is ideal as some people like working late, when it is quiet, and others like to be alone. Lone working is the name given to an employee that is engaged with their work solo, sometimes out of contact with their colleagues, for a short period of time, the entire working day – or days, depending the nature of their role. While this used to be exceedingly hazardous – and open to abuse by employees who could be confident that their boss would not be able to check up on them – it has, of late, become a little safer and more easily monitored. Workers do not always adhere to health and safety rules when management is not physically present. They can also take unnecessary chances in order to complete tasks more quickly, if not under immediate supervision. This is a major issue: 609,000 people were injured at work in the year 2016/17 at a cost of £14.9 billion. Even the most conscientious workers can have slips or accidents, and finding out and reaching them in a timely fashion can be a problem without a system of check-ins and failsafe’s. For example, a forestry worker in need of first aid, could be at risk of waiting a long time for someone to check in on him or her, or even simply waiting an inordinate length of time for an ambulance to arrive and locate him or her to begin treatment. Firstly, always employ stringent safety standards and enforce their utilisation. Workers must be incentivised into obeying health and safety rules even when working by themselves in relatively tedious tasks. All employees must be carefully trained how to work in the safest possible way, and refresher courses should be repeated as needed to keep processes and procedures sharp in their minds, as well as a good understanding of potential lone worker hazards. Next, there is an old school, but effective method of staying in touch over distances: the humble radio. It is a simple matter to come up with a system of check-ins at appropriate intervals, obviously more frequent depending on how risky the work is and what dangers are present. These check-in systems, however, only work as long as they are monitored at the other end: a night shift worker cannot call for help if the office is closed and unmanned when they are working. Modern technology can help to negate some of the issues with lone worker hazards. Thanks to the onset of modern technology, specifically portable communication devices like smartphones with lone worker apps, it is now easier than ever for lone workers to stay in constant touch with the office or with on-call personnel, who can respond to alerts whilst performing their day to day activity from either in or out of the office. Personal alarms are very effective too.. They can be used by both parties: the lone worker can activate the alarm to summon aid, or management can operate an alert to warn the lone workers about any approaching dangers such as extreme weather or other hazards. Personal alarms and lone worker apps can often be the same thing, with modern devices taking over the role of personal alarm. 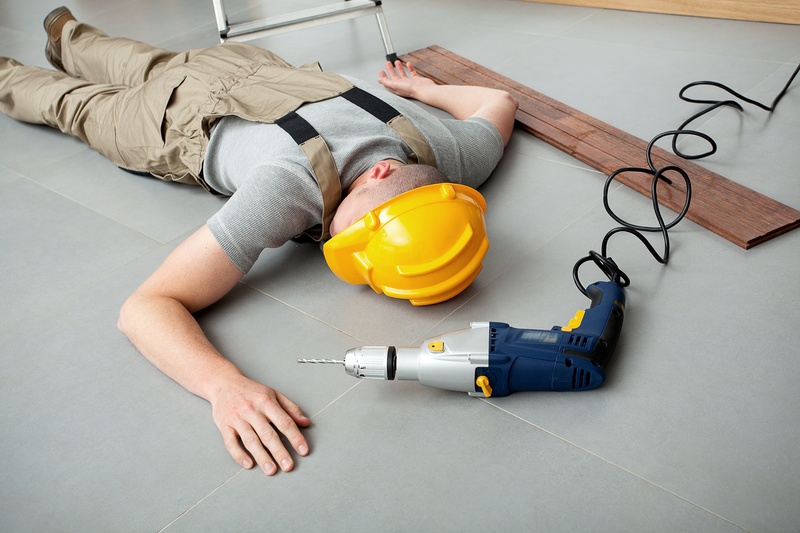 It is important that lone workers be issued with suitable devices for the role that they are undertaking and do not run out of battery or break easily in the event of an emergency.